We often get asked, can you use hex briquettes for a minion method fuel set up for your smoker? Hell yeah! Of course you can, and we’ll show you how, through our tried and tested way. If you love low n slow BBQ Smoking you would have heard of the minion method fuel set up or may be using it right now in your own cooks. 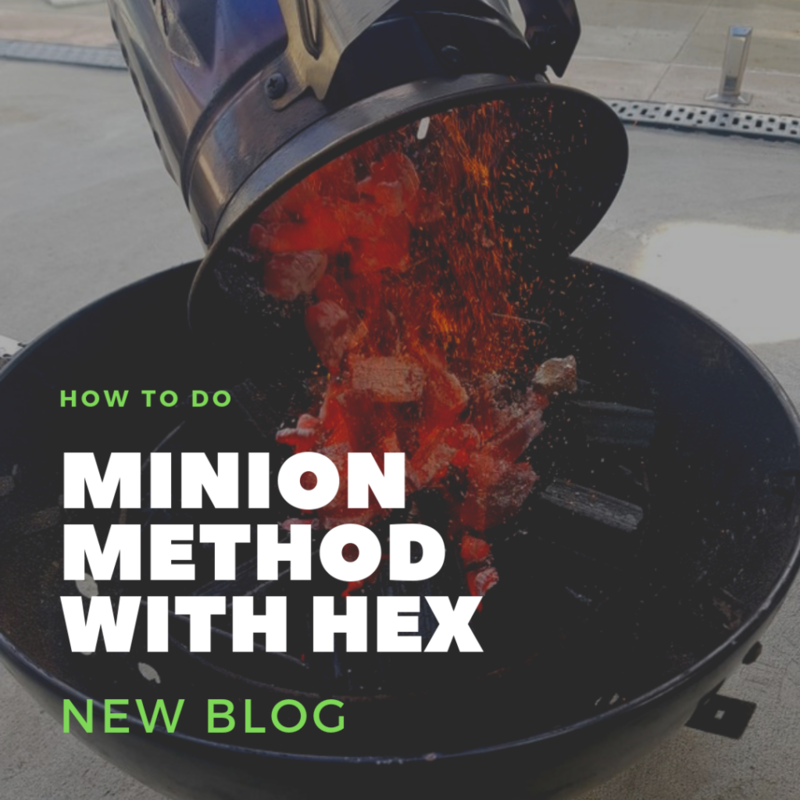 We are often asked can the hex briquettes from Firebrand be used for the minion method and we’re here to bust that myth… 100% they can!!! Not only can you use the Firebrand hex briquettes for a minion method fuel set up, but by mixing in hardwood lump you can get a more consistent cook overall. 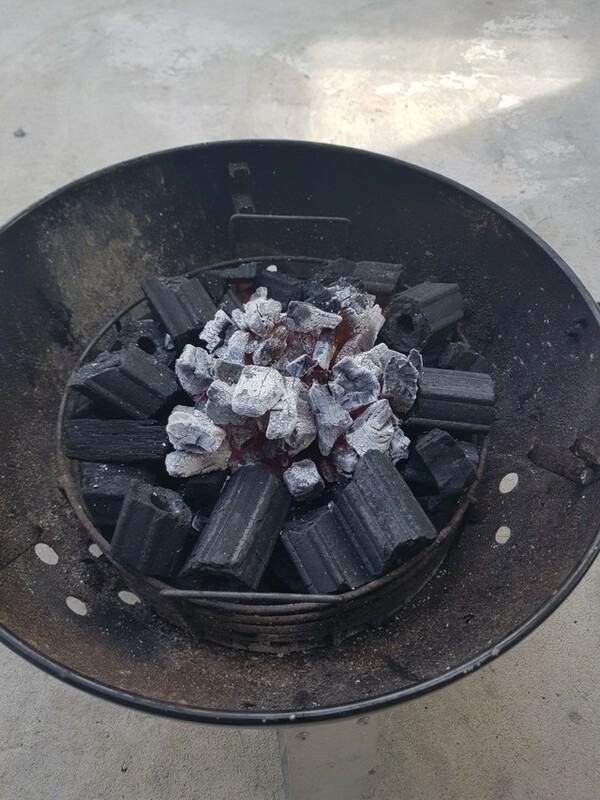 You will notice that your pit sits at the desired temp range for longer, a prolonged burn time overall and you will generally use less fuel than you would using your typical pillow shaped charcoal beads, most of which contain fillers and binders. Well, given the minion method is a set up in a round formation, it is assumed firstly that your smoker is one of a kettle or bullet variety. We’ve tried and tested a few ways to set up minion using the Firebrand fuel products and have come up with a sure-fire way that will give you a consistent results, every time. How much fuel do you need? For your average size kettle or bullet smoker we’ve used about 2.5kg – 3kg of unlit fuel, split 50/50 hardwood lump and briquettes. Plus you’ll need at least half a chimney full of lump to ignite. Step 1. Start with a layer of lump, evenly spread around the perimeter of your pit, in the shape of a doughnut. Step 2. Arrange a layer of briquettes on top of the lump around the perimeter of your pit. Step 3. Light a half full chimney of hardwood lump, then when white hot, tip into the centre of your fuel set up. Add fruit chunks as needed. The use of lump in the mix helps with ignition as it’s a much faster lighting fuel. The briquettes will give you longevity you need for smoking and keep your temps stable for longer periods. With the right amount of air flow coming through your vents (adjust as required), this set up can keep your cooks going for 10-12 hours. Why use Firebrand BBQ fuel at all? 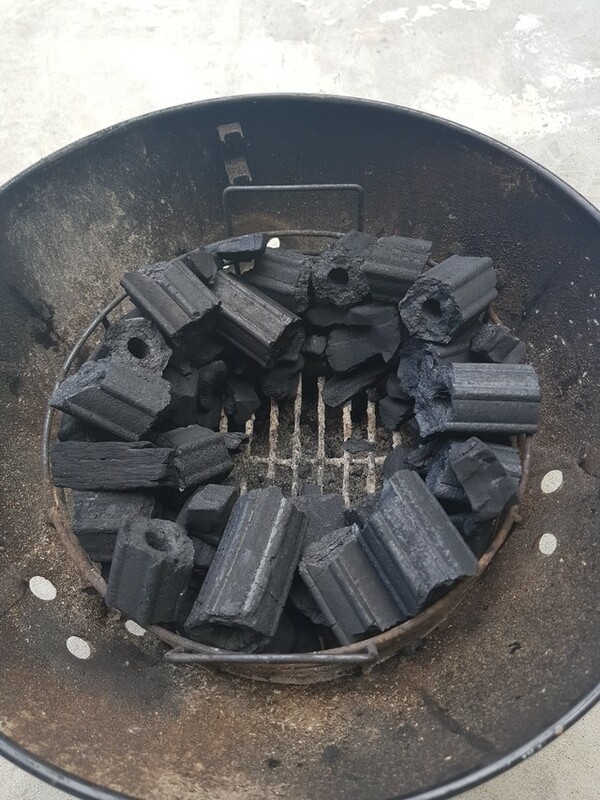 Our briquettes are made from pure hardwood sawdust, compressed and carbonized using a patented method we’ve perfected over 2 decades to enable a quality barbecue briquette that is made with no chemicals, fillers or binders in the manufacturing process. It’s a pure fuel source that will give you incredible heat, a clean, long burn time and very little ash. 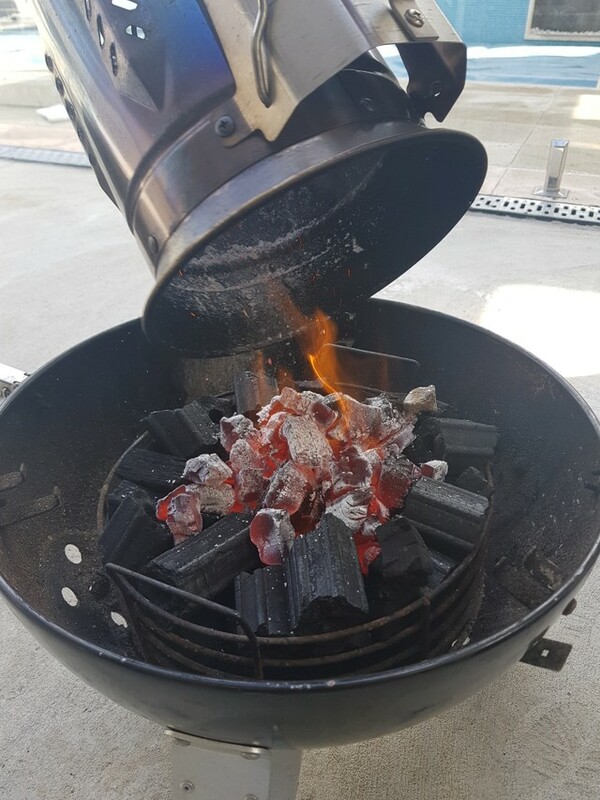 The Firebrand hardwood Lump is a premium product made from pure natural hardwood providing a quick lighting, clean and hot burning fuel that will perform no matter what you throw at it. 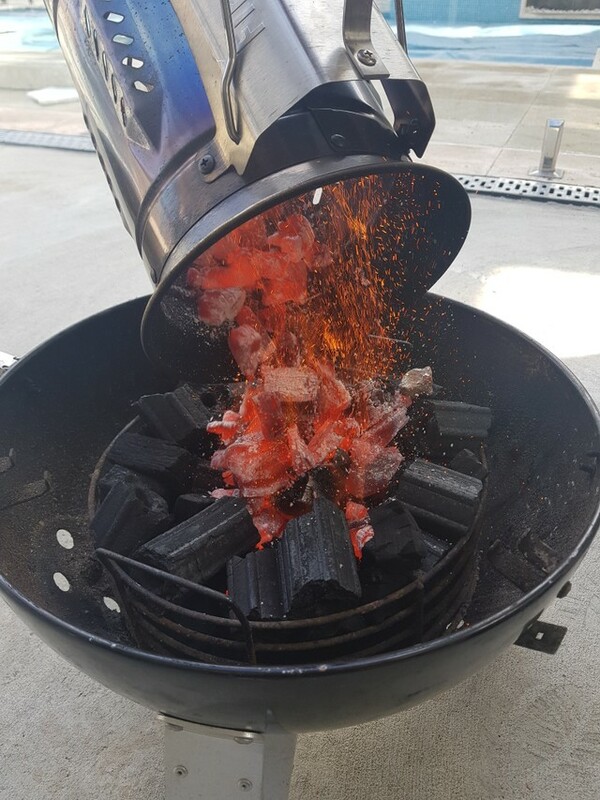 Both Firebrand fuels are suitable for all BBQ and grilling cooking applications and from charcoal grills, kettle BBQ’s, smokers and rotisseries. Fire up today and witness the long lasting effect for yourself. Firebrand briquettes will burn cleaner, hotter and longer than anything else compared. Any of the the Firebrand Hardwood lump range can be used in our minion method. See more. Any of our wood briquette products can also be used for this sit up, in this example we’ve use our premium briquette. See more. 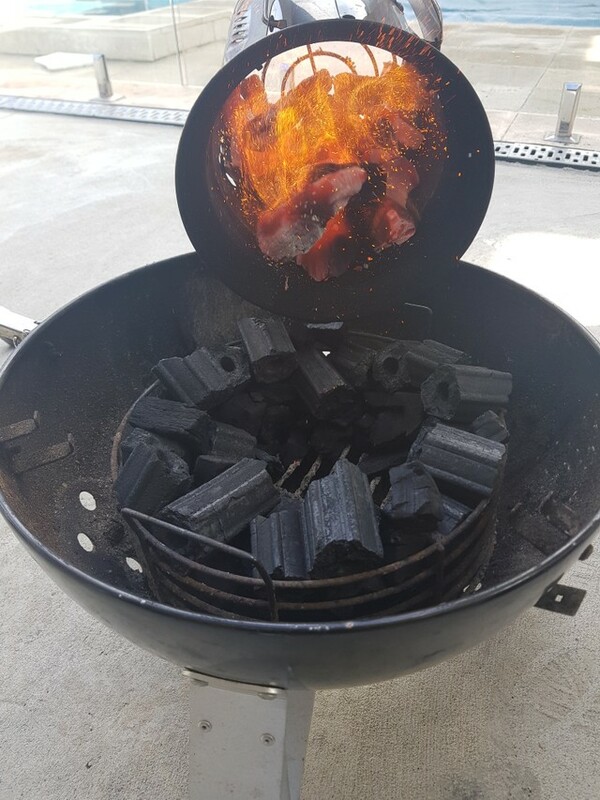 This entry was posted in BBQ Blog - all, BBQ Tips and tagged barbecue, bbq, bbq fuel, charcoal, low n slow, lump, minion, smoker.